Let’s take a look at some actions that can be performed within an expense in Zoho Invoice. 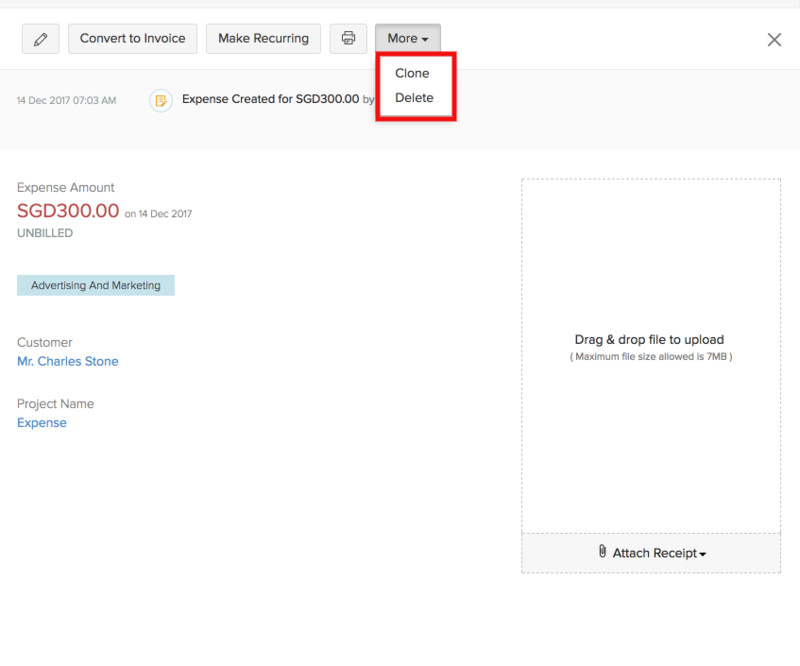 Clone - You can clone or duplicate an expense in Zoho Invoice by opening it and selecting More - Clone. You can modify certain details of the expense before saving it. This expense will be identified and tracked seperately, thus avoiding any chance of confusion. Delete - You can delete an expense by opening it and selecting More - Delete. This action cannot be reverted.